As Colin Powell presciently noted, “A dream doesn’t become reality through magic; it takes sweat, determination and hard work.” But while generations have bought into the idea that hard work levels the playing field, it’s becoming clear it takes more than a hefty dose of elbow grease to rise to the top. Mobility, in an economic context, refers to the ability of an individual or family to improve their economic status via increased income. The American Dream is our national ethos, which has upward social mobility at its core. And for years, this dream was a reality. 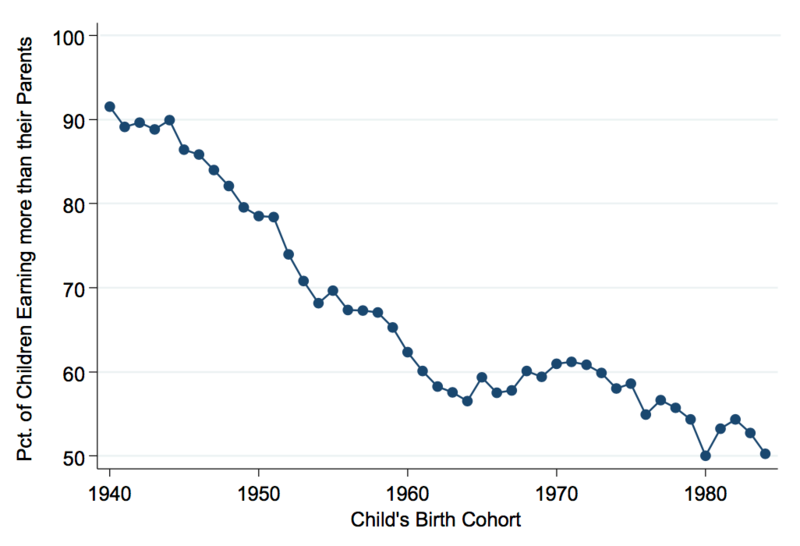 A research study by Raj Chetty highlights that the rates of upward mobility were 90% for children born in 1940. This means that 90% of those children went on to earn more than their parents did. Unfortunately, that figure has steadily declined to 50% for those born in 1984. Research for newer cohorts hasn’t been presented, but there’s no reason to think the trend is reversing. But while macroeconomic trends might not be tailwinds younger generations can rely on, there are a few life hacks you can incorporate into your life to make sure you enjoy economic prosperity and upward mobility. 1. Create And Use A Monthly Budget. Learning how to budget is a very powerful skill for two reasons. The first is that it’s a lot easier to budget than many people realize. The second is that a budget is much more effective than you probably imagine. This makes budgeting ‘low hanging fruit’, which means it’s easy to do and leads to meaningful results; a strategy that everyone should utilize to make big improvements quickly. While nearly three in five Americans don’t use a budget, those that do budget enjoy more wealth. Which is reason enough to get started. A budget is simply a document or system to actively manage how and when you spend the money you earn. The key to an awesome budget is to allocate your money to saving and investing first, and then deciding how to spend what you have left after saving. Many people save what is left after spending, and that’s a recipe for financial stagnation. Think of not having a budget as taking 2 steps forward and 1 step backward every month that goes by without one. A constant refrain that I hear is, “I already know where all of my money goes, so a budget won’t help me.” The fallacy there is in thinking that the act of tracking your spend is what leads to behavior changes. A budget serves as a forcing mechanism or accountability tool to help you stick to your plan. Have you noticed that it’s a lot easier to exercise with a friend? You can think of a budget as your money friend who helps you save and invest your money. Even if you already think you know where and how you spend every single penny, making a budget will still help you. Big time. 2. Develop A Side Hustle. We know that wages aren’t increasing as quickly as they once were. In fact, the cost of a college education is increasing nearly 8x faster than Americans’ wages. One natural way to increase your income is to develop a secondary source of income for yourself or your family. But don’t worry, you aren’t alone. According to Bankrate, nearly 40% of Americans now report having a side hustle. According to the same survey, the top side hustles are home repair, landscaping, craft sales, and child care. These are all things that don’t require a degree, so they are accessible for millions of people. Between legacy platforms like eBay, Amazon and Craigslist, relatively newer marketplaces like Etsy, and online eCommerce platforms like Shopify, there’s a wide range of ways for you to find something you enjoy, are good at, or is in demand. Another reason to develop a side hustle is to learn new skills and sharpen existing abilities so that you’ll be more competitive in a crowded job market. Not a bad side effect considering side hustlers earn $686 per month, on average. That’s over $8,000 extra dollars per year that can go to pay off debt or be invested. Do that for 10 years and you’ve meaningfully changed the size of your nest egg. 3. Start To Invest Your Savings. While most people would agree that investing is an important way to build wealth, most adults show a reluctance to do so. Ally Financial found that over 6 in 10 adults say they find investing in the stock market to be scary or intimidating. Their data shows that Millennials feel significantly more intimidated than older generations. Learning how to invest in stocks is now easier than ever, and there’s no reason to be sitting on the sidelines if you have money ready to invest. In keeping with the current trend in a reduction of fees, Fidelity, the mega asset management firm, recently announced the launch of two index funds with zero fees. This means more of your money is staying in your account. Fears of the economic effects of a trade war with China or the long economic recovery we’ve experienced since the Great Recession may cause some people to delay their investments, but the rule of thumb from professionals is to invest early and often. Even if the stock market experiences a correction, owning and holding stock over a 30+ year time horizon has been an effective investment strategy. It’s More Important Than Ever To Make Smart Financial Decisions. Chetty et al. remind us that the lack of mobility will not be reversed by increased economic growth alone because that increased income won’t be distributed as widely as it was in the 1940s. Instead this money is going primarily to the mega rich. 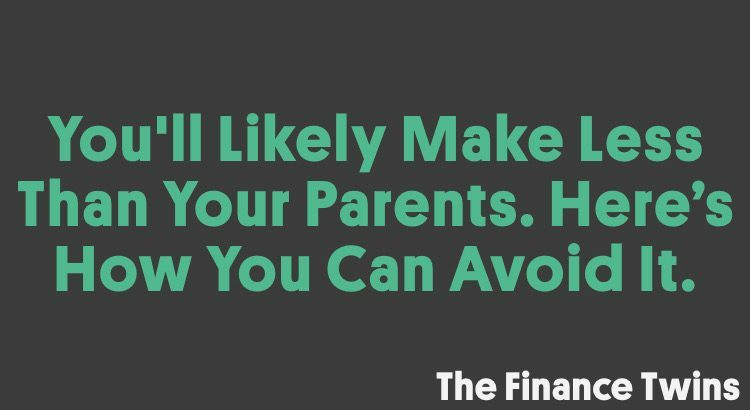 But if you’re able to stick to a budget, develop a side hustle, and invest wisely, you’ll be on the path to be one of the individuals who is able to out-earn his or her parents. The way things were supposed to work.